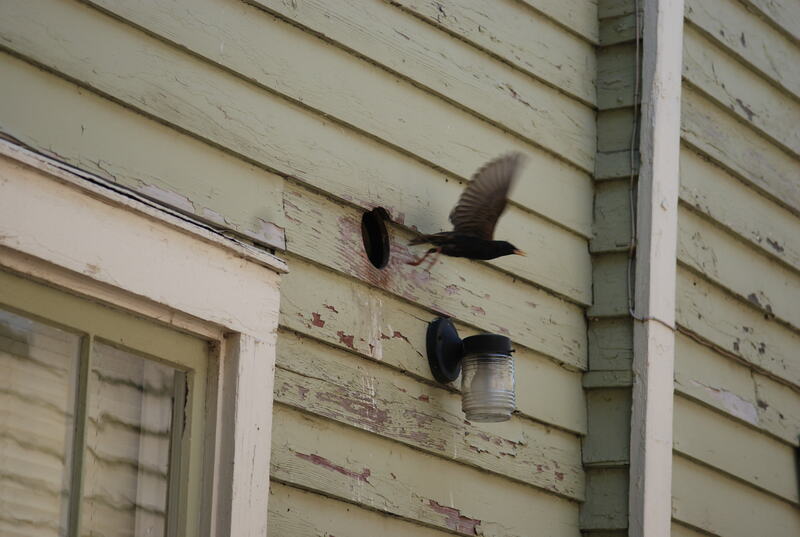 Bird in vents is a very common problem that our Wildlife Experts at Hayman Wildlife Management encounter throughout Stevensville, Benton Harbor, St. Joseph and surrounding areas. 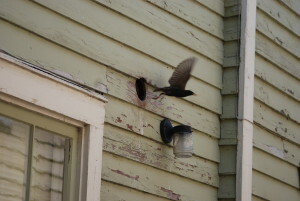 Birds will start attempting to get into vents usually in the later part of March. 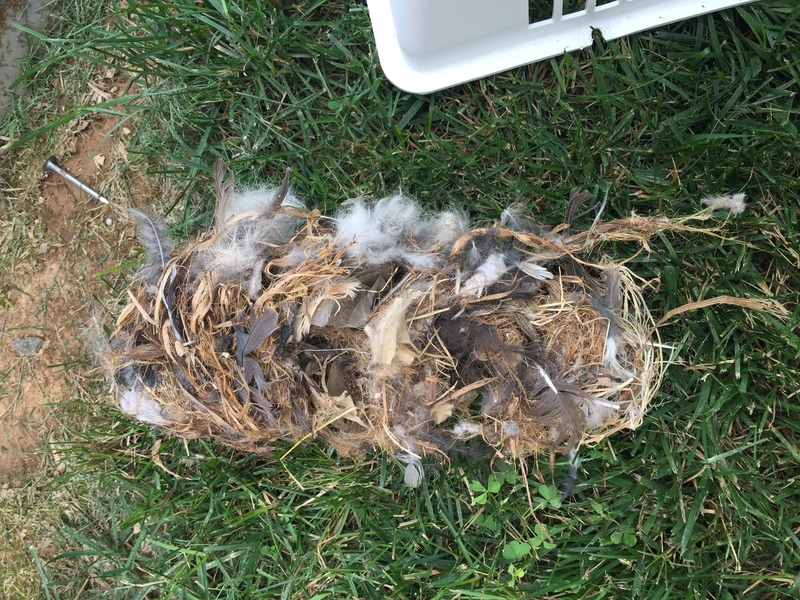 They will attempt to get into any vent in the home; some of the more common vents that you will find birds in are kitchen vents, high bathroom vents, dryer vents, and lower ground level vents used to exhaust gas furnaces and other appliances. One of the first things that customers will tell us is they hear scratching in the vents. This noise may or may not be scratching since birds have love claws on their toes that they use for gripping tree limbs and other objects during their day to day activities. In many cases, the scratching noise is simply the Bird walking in the metal vent pipe. It is always recommended that a Wildlife Removal Professional handles this chore. Birds are very nasty creatures that carry many parasites and diseases that they are associated with. These parasites should be treated with commercial grade chemicals that can only be purchased by professional pest control companies. Birds can carry lice and other mites that can make their way into the living areas of your home. Many customers will complain of bugs falling down inside the bathroom or kitchen from the vent areas. Other problems can arise when you have a bird in your vent. The longer the bird is in the vent, the bigger the amount of nesting materials that the bird will bring into the vent to build a nest. The build up of nesting material could potentially completely block the vent, allowing no airflow through the vent. This could be disastrous if the bird is building a nest in a gas vent or another vent that is critical to the operation of the home.